All of this and much more are included on this vacation. From its beautiful mountains to its exciting cities and from its amazing historic sights to its delicious cuisine, Italy offers it all. Be sure to bring your camera, so you can capture the memories you’ll create on this remarkable Italy tour! 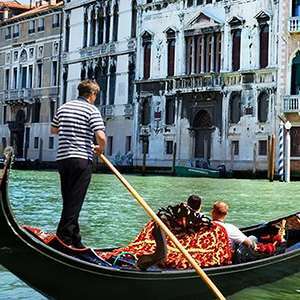 Motorcoach; private boat ride and private water-taxi ride in Venice. Free Wi-Fi available on your motorcoach and in most hotel lobbies. Start with a guided visit to the ancient COLOSSEUM, where gladiators once fought. Continue to the ROMAN FORUM, where Roman Legions marched in triumph, and walk through the ruins of what were important government buildings from Roman times. The balance of the day is at leisure. 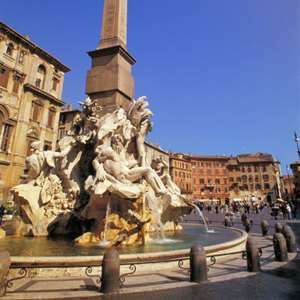 An optional walking tour with a Local Guide is available to further explore Rome's famous sites. This morning, explore the religious part of Rome: enjoy a guided visit of the VATICAN MUSEUMS and SISTINE CHAPEL with Michelangelo’s ceiling paintings and The Last Judgment, followed by a visit to monumental ST. PETER’S SQUARE and BASILICA to admire Michelangelo’s Pietà. Then, leave the “Eternal City” and follow the Apennine Hills to the medieval walled town of Monteriggioni, which dates back to the early 13th century, and still has the original 14 towers. Walk to the main square, Piazza Roma, enjoy some free time, and try traditional cantucci alle mandorle (local almond biscuits). Enjoy views of unforgettable vine-clad landscapes on the way to your hotel, perfectly situated in the renowned Chianti hills. Picturesque San Gimignano is one of Italy’s most perfectly preserved medieval towns and a UNESCO World Heritage site. Walk through the narrow lanes with its towers before continuing to Florence, “Cradle of the Renaissance.” Meet your Local Guide, and visit the ACADEMY OF FINE ARTS with Michelangelo’s celebrated David. Continue your walking tour and stand in awe in front of the magnificent cathedral, admire Giotto’s Bell Tower, the Baptistry’s heavy bronze “Gates of Paradise,” sculpture-studded SIGNORIA SQUARE, and take pictures of Ponte Vecchio. Afterward, you may wish to shop for Florentine leather goods and gold jewelry, sold by the ounce. Continue to your hotel in the spa resort of Montecatini. Marvel at the legendary Leaning Tower before arriving at the fascinating city of Mantua, a UNESCO World Heritage Site, surrounded by three artificial lakes that were created in the 12th century. Guided sightseeing features a walk through the historical center, the Percorso del Principe (Path of the Prince), and a visit to TEATRO BIBIENA, designed by Antonio Galli Bibiena in late baroque/early rococo style. Mozart performed here at the age of 13 in January 1770, a few weeks after the theater opened. In Verona, medieval setting of Shakespeare’s Romeo and Juliet, join your Local Guide on a walking tour of this interesting city. Take pictures of Juliet’s balcony and rub the shining breast on her statue for good luck. Continue to the Arena, an incredibly well-preserved pink marble Roman amphitheater, where gladiators once fought. Built in the 1st century AD, it is now a magical venue for world-famous opera performances. Balance of the day is at leisure. 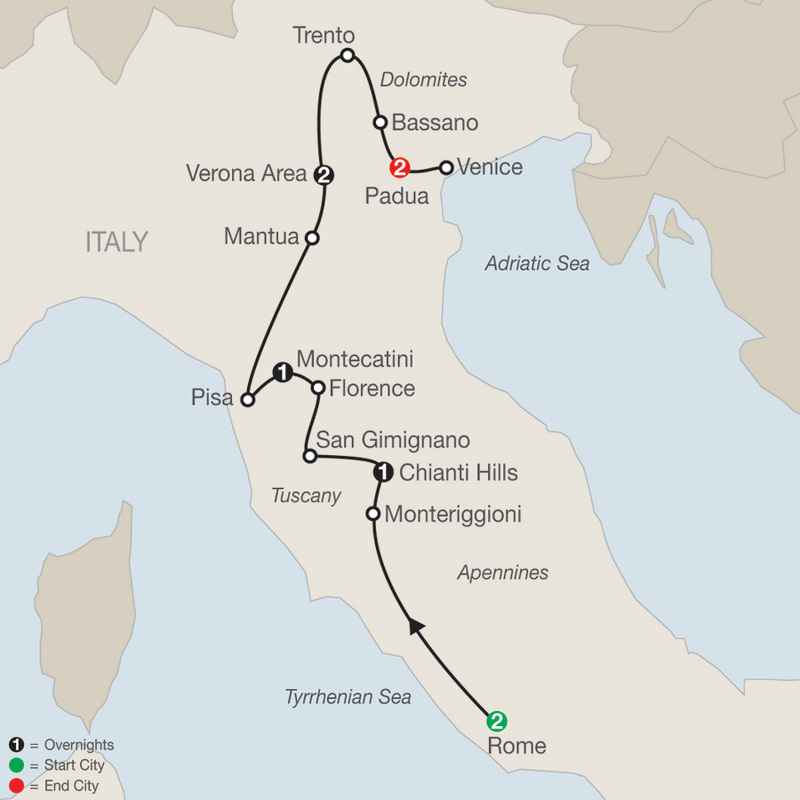 An exciting optional excursion is available to Lake Garda and Sirmione. Follow the valley of the Adige River to Trento, a modern city in the Dolomites, the “Rocky Mountains” of Europe. Over the centuries, Trento was always an important commercial and strategic city, Italy’s “Gate to Northern Europe,” with the Brenner Pass through the Alps to nearby Austria. In the 14th century, Trento province was under Austrian rule, and until the end of World War I, the city was practically on the Austrian border. Your orientation shows you how Italian Renaissance and German styles have mixed over time. Next, a spectacular drive through the Dolomites brings you to the area of Bassano for a GRAPPA TASTING, accompanied by some local specialties at the famous Poli Museo della Grappa (Grappa Museum). Later, continue to Padua and see St. Anthony's Basilica. Enter Venice in style by PRIVATE BOAT and meet your Local Guide. Highlights of your walking tour are ST. MARK’S SQUARE and the byzantine BASILICA, lavish DOGES’ PALACE, and the BRIDGE OF SIGHS. Also watch a skilled GLASSBLOWER fashion delicate objects in an age-old tradition. Then, wander through the maze of little streets at your own pace or join an optional gondola serenade. 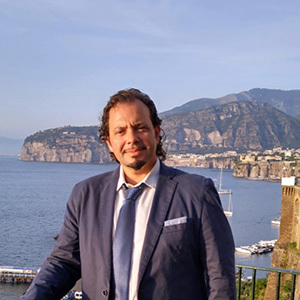 Later, your Tour Director will take you to Al Colombo restaurant near the Rialto Bridge, where the owner, Domenico Stanziani, welcomes you for a farewell dinner, followed by a PRIVATE WATER-TAXI RIDE through the Grand Canal as a proper arrivederci. Your vacation ends with breakfast this morning (the nearest airport is Venice). Don't miss out this unique chance to discover the charm of Sirmione often called the pearl of the Garda Lake. Enjoy a guided walking tour through Padua's historic district, a traditional aperitif, and an authentic Italian dinner, complete with starters, pasta, tiramisu, and drinks!